Malcolm is in jail for stealing -- once again -- from his latest new job, and Anthony's aunt and twin cousins settle into the Amedeos' fifth-floor walk-up. Sharing a room with girls is excruciating for Anthony, despite his affinity for the twins. But the real change in Anthony's life comes one evening when he causes the unthinkable to happen, changing each family member's life forever. 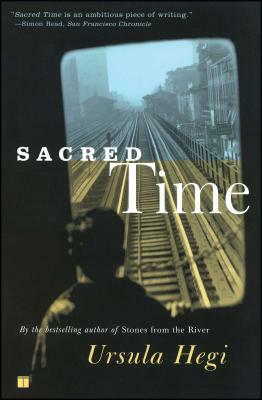 Evoking all the plenty and optimism of postwar America, Sacred Time spans three generations, taking us from the Bronx of the 1950s to contemporary Brooklyn. Keenly observing the dark side of family -- and its gracefulness -- Hegi has outdone herself with this captivating novel about childhood's tenderness and the landscape of loneliness. Ultimately she reveals how the transforming power of a singular event can reverberate through a family for generations. With gravity and poise, Hegi turns her astute yet forgiving eye on the essential frailty and dignity of the human condition in this elegant and fast-paced novel. Simon Read, San Francisco Chronicle Sacred Time is an ambitious piece of writing. Valerie Sayers, The New York Times Book Review Sacred Time offers its own version of hope in the face of despair, of truth in a new era of secrecy and evasion.